I looked up from my cereal bowl. And thus began one of the most significant conversations and, bonus!, time of prayer with my daughter that I’ve had in a long time. It did not go unnoticed by me that my computer sat on the table nearby. Later, walking the dog, I was thinking hard about how I haven’t written in a while and how I’ve been trying to balance (not all that well, mind you) being digitally distracted with doing the actual work of writing. Basically, I was thinking about slowing down to see what’s in front of me and what that meant and what that should look like in my life right now. Just sitting on a ledge. Near the sidewalk. Causing me to slow down, take a good look, and smile. 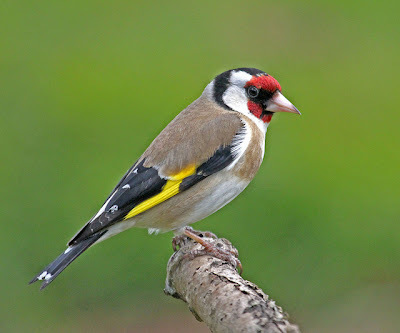 You just don’t see goldfinches around here every day. 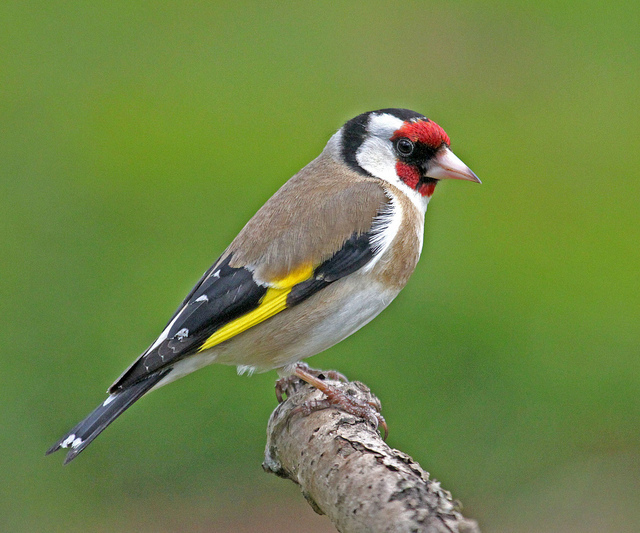 Goldfinches require stopping because they’re skittish, goldfinches, and if you hurry or rush to see them they will fly away. Quickly. Later still, reading a couple of my favorite blogs, I read this from Suzanne. Click over. Read it. Listen to the music (Suzanne plays the BEST music). Is it middle age? Is it God speaking to me? Is it just the fact that between my family, my church, and my class I have very little time left for this space here? I don’t know what it is, but today I think I’ve found the balance. For now. See, here’s the thing. I need to write my thoughts. I love writing those kinds of posts—the ones about the things I’m thinking about. But you don’t always want to read that. I mean, I’m kind of boring and a little strange and not to mention boring, so my thoughts might not always interest you (unless you’re married to me and then my thoughts HAVE to interest you). You seem to be interested in food. Well, I am too. I love food! But you seem to be especially interested in the food I cook for my family. Go figure. So where I see things right now, at least until school ends in early May, at which time I will probably inundate you with posts about nonsense and my sorrow about my oldest turning 20 and being gone for the summer and only spending two weeks of 2012 in our actual home . . . *sigh* . . .
Oh yes, where I see things right now . . . is that I like to write deep thoughts (don’t laugh) and you like food. So I’ve come up with a compromise based on the three signs I got today telling me to slow down or let it go or whatever those signs were supposed to tell me. And the compromise is this: I will keep writing here. I want to keep writing here. But I will have to, for the next month or so until classes end (oh, I also have a high school graduation in May!) cut back a bit. So between your needs and mine, I’m going to write one post for you every week, and one post for me. Your post will be called "Fabulous Friday Food," which will allow you a small peek inside our kitchen window, with a recipe to boot. My post will be posted here somewhere around Tuesday and will be something I’m thinking about, concerned about, happy about, or just plain about. Oh, one more thing. Since I’m giving you a recipe, will you give me something? Like a comment? Or a “Follow”? I’d love it so much, like, with whipped cream on top (but no cherry—I hate those cherries). So today was productive. I figured some things out, thanks to the three signs I received. Still milling ... between yours and Suzanne's ....answers soon. Your convictions continue to lead to mine...more great thoughts, Shelly. I'm going to look at my kids as little goldfinches today! Wise thoughts! I enjoy your reflections more than any recipe, so I am glad you will be sharing both. Heading your way on Thursday so please call Mary if you would like us to drop some lovely blue, brown and tan eggs to you! Backyard hens of course! I love that, Beth!! So sweet. Nancy!! Will we finally meet?! We must! Can't wait! God is very good. You're right about that. And I applaud you in your search for--what? Balance? No, I don't really like that word. Makes me think of a funambulist crossing Niagara and gives me the heebie-jeebies. Instead, I'll say that I applaud you in search for a rhythm that works for you and your family. Graduation #2 coming up! Wow!! Is she going to Wheaton? I loved your post and struggle with the same thing. I see so many opportunities that I have missed or could have taken part of if I would have slowed down and noticed. I love your posts with deeper thoughts so keep those coming... Thanks! LaDonna A.
that will be in your sites. I already follow you, so thought I would leave you a comment :-) God is good! I am glad you're able to continue to blog. I know I don't comment often, but I'm still reading!